Distraction and complacency. These are very dangerous things! We are only three weeks out from December 6 and only 5 days from the beginning of early voting (begins Nov. 22). With Thanksgiving, high school football playoffs, and much more upon us, it is easy to get distracted and assume that things will take care of themselves. And with polls coming out showing the gap between the candidates widening, we cannot fall into the trap of complacency. When it comes to defending the precious gift of human life, we cannot take our eyes off the goal of an abortion-free America. We know that babies are lost to abortion every day, and whether it is educating voters, praying outside an abortion facility, or volunteering at a pregnancy resource center, we cannot take time for granted. Let's be sure we stay focused and do what we need to do to stand for life in these next few weeks. Please do not forget to request our updated run-off voter education card for the U.S. Senate race. We need your help to distribute this card to as many people as possible! You can request this card by clicking here and completing the online request form or by calling our office at 1.866.463.5433. We also have an 8.5x11 PDF version you can download and print. Republican physician Ralph Abraham, who received 23 percent of the primary vote, and Democratic Monroe Mayor Jamie Mayo, who led the field with 28 percent of the vote in the November 4 general election, are in the runoff to replace Republican Rep. Vance McAllister. McAllister ran for re-election but finished fourth in a field of nine after a scandel-plagued year. -- Campaign Website: "We must protect the innocent unborn. I believe that a child's life begins at conception." -- No comment about stance on his website. Former Gov. Edwin Edwards led the crowded field of 12 candidates in the November election for the 6th District seat that is being given up by Senate candidate Bill Cassidy. Edwards, one of just three Democrats in the race, led with 30 percent of the vote. He is facing Republican Garret Graves, who received 27 percent of the vote, in the runoff. -- Campaign Website: "In Congress, I will fight to protect the sanctity of human life..."
The worldwide 40 Days for Life movement is moving its headquarters into a former Planned Parenthood abortion center in Bryan/College Station, Texas. The pro-life initiative began outside that same facility 10 years ago. "This news shows what God can accomplish when His people pray," said Shawn Carney, campaign director of 40 Days for Life. "More than 6,400 children lost their lives in this building, but God is making 'all things new.' What was once a place of death and despair is now going to be a place of life and hope. We are excited to start using this location to aid the rapid worldwide growth of 40 Days for Life, and to help other cities become abortion-free." 40 Days for Life launched in 2004. Over the last decade, 40 Days for Life has spread to 559 cities across all 50 American states and 27 nations. More than 9,500 lives have been saved from abortion during 40 Days for Life campaigns, and 59 abortion centers have closed following 40 Days for Life campaigns outside their doors, including the one in Bryan/College Station, which was the focus of 13 different 40 Days for Life campaigns. 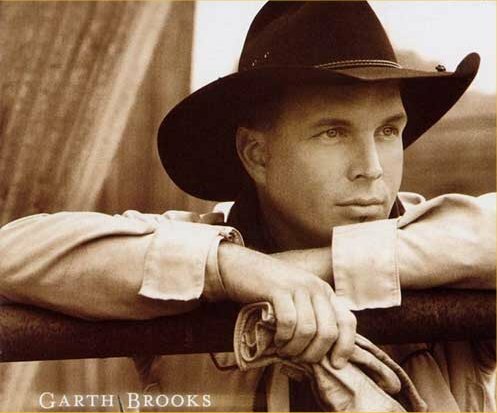 Pro-Life Related Stories Trending In the U.S.
* County music legend Garth Brooks has a new song out that is bringing listening to tears because of the sweet and delicate way it handles the issue of abortion. Brooks appeared on Good Morning America recently to perform the song the and video of the performance has gone viral on social media. Brooks says the song is "a conversation between God and this unborn child about ready to go down to earth. And when God describes what a mom is - whew, it kills me." * Fresh from their overwhelming victory on Election Day, Senate Republicans have unanimously elected pro-life Kentucky Sen. Mitch McConnell as their leader, and he has promised the Senate will vote on a House-passed bill - The Pain Capable Unborn Child Protection Act - that bans abortions after the 20th week of pregnancy because scientific research shows unborn children can feel pain at that point in pregnancy. * The New Jersey Assembly has voted to legalize doctor-prescribed suicide in the state. The so-called Aid in Dying for the Terminally Ill Act passed the Assembly 41-31 and now goes to the state Senate for consideration. Gov. Chris Christie has previously stated he opposed efforts to legalize doctor-prescribed suicide in New Jersey and would veto the measure if it reached his desk. * After numerous requests by members of Congress for clarity about abortion coverage in the state exchanges, the Government Accountability Office, a non-partisan government agency, released a report detailing its findings. The GAO found that taxpayer funds are being used to subsidize abortion, contrary to what President Obama promised in 2009: "Under our plan, no federal dollars will be used to fund abortions." The report details abortion coverage in healthcare plans sold on Obamacare state exchanges. The GAO report revealed that 1,036 plans cover elective abortion at the expense of taxpayers. In eight states, 95-100 percent of the plans cover abortion-on-demand. Brittany Maynard committed suicide in Oregon on Nov. 1. Brittany Maynard's recent suicide has set off a new series of national debates about physician assisted suicide, and we should all be paying close attention. After learning she had less than six months to live due to an incurable form of brain cancer, Maynard, who was a 29-year-old newlywed at the time, moved from California to Oregon, where assisted suicide has been legal since 1997. Overnight, Maynard became the new face of Compassion & Choices (formerly known as the Hemlock Society), the advocacy group working to legalize and normalize physician assisted suicide. On November 1, using drugs prescribed to her by a doctor, Maynard took her own life. Maynard's emotional appeal has changed the perspectives of many people, and her use of social media opened a new generation to the debate. But in the stories about her, the media rarely presented any ethical concerns about assisted suicide. Having lost my father and other loved ones to terminal illness, this is of particular concern to me. We are right to have compassion for those who suffer, but the proper response is care, not physician prescribed death. First, legalized assisted suicide has become a socially acceptable form of discrimination. Would we ever provide poison to a teenager who has lost a sense of purpose or refer to such a suicide as courageous? Of course not. We offer suicide prevention and counseling to some individuals while offering suicide assistance to others. In doing this we reinforce their worst fears, answering the unspoken questions "am I still valuable? Am I still worth fighting for?" with a heartbreaking no. Why the two different responses? Simply put, many in our nation see the ill, disabled, and elderly as second-class citizens. How many of us have said or heard others say they would never want to be a burden to their families? We may think such comments are selfless, but the message is clear: our culture sees the ill and disabled as undignified and burdensome in their suffering and dependency. Opening the door to legally allowing doctors to prescribe death puts pressure on these vulnerable people to think suicide is the only sensible option. Second, patients' decisions are often made out of financial considerations and fear of becoming burdensome. Legalization places a tremendous pressure on such individuals, who feel a sense of obligation to take advantage of the law in order to free their families from the expense and time their care demands. Furthermore, healthcare is more expensive than death, and assisted suicide becomes a treatment where it is legal. In Oregon, for instance, Barbara Wagner was told chemotherapy would not be covered by her insurance, but assisted suicide would. This is not surprising, since the cost of chemotherapy medicine is far more expensive then the drugs used for suicide. This becomes commonplace, particularly among the under-insured. While assisted suicide is depicted as a right, it often becomes an imposed sentence. Third, it is impossible to put adequate safeguards in place to prevent abuse. The decision of assisted suicide is typically approved by a general physician and witnessed by family, all of whom can have conflicts of interest. Such physicians are not qualified to evaluate mental issues, and legalization removes incentives to improve pain management options. The medical response to suffering becomes death rather than quality palliative care. Finally, prognoses are often wrong. Brittany Maynard was given six months to live and a grim prospect of suffering. Some deemed her situation hopeless. We will never know if she would have been like Heather Knies of Phoenix, who was diagnosed with the same cancer as Brittany, given six months to live, and is alive and well ten years later. Or like David Williams, given the same diagnosis and prognosis 13 years ago. His fight with cancer is ongoing, but he values his experience and the time he has been given. He said recently that without "going through what I've gone through, I don't think I would be able to reach people the way I reach people." But even if Brittany's prognosis were correct, can anyone doubt that those six months with her family would have been meaningful? None of us know how long we have, none of us are free from suffering, and none of us can escape death. That does not deprive our lives of value and meaning. When suicide is encouraged, we are robbing patients and their families of their most precious gift: time with those they love. Despair is a natural reaction to suffering and the certainty of death. The proper response is improved psychiatric and palliative care, not suicide. We must consider that when we use words such as "dignified" or "courageous" we are glorifying and normalizing suicide for young people, condoning discrimination, and undermining the courage and dignity of the countless men and women who are taking advantage of every day they can have with their families. Suicide is never good healthcare. It is always a tragedy and an incalculable loss for us all. Louisiana residents can vote early for the Dec. 6 election on Nov. 22, 24-26 and 29. Voting will be conducted at various locations around the state from 8:30 a.m. until 6 p.m. Click to check this list to see where you can vote early. Click the 'By Voter' button. Complete requested information and submit. Note: You must be logged in to the Voter Portal as the voter for whom the request is intended to electronically submit a request for an absentee ballot. You may also print an application to vote by mail, which you complete and mail to your parish registrar of voters. The deadline to request an absentee ballot is Dec. 2. A new post-election poll of actual voters conducted by The Polling Company/WomanTrend found that the issue of abortion once again played a key role in the mid-term elections, and that National Right to Life and its state affiliates were key to getting out the pro-life vote for pro-life candidates. Twenty-three percent of voters said that the abortion issue affected their vote and voted for candidates who oppose abortion. This compares to just 16% who said abortion affected their vote and voted for candidates who favor abortion, yielding a 7% advantage for pro-life candidates. These poll results help explain the victories experienced by the right-to-life movement in the Nov. 4 elections. National Right to Life's political committees were actively involved in 74 races. In those races, 53 (72%) pro-life candidates prevailed, including pro-life Senate candidates in Arkansas, Colorado, Georgia, Iowa, Kansas, Kentucky, Montana, North Carolina, South Dakota, and West Virginia and Alaska. One Senate race in which National Right to Life was actively involved is still outstanding, where in Louisiana, pro-life Rep. Bill Cassidy is considered the frontrunner in a December run-off election against pro-abortion incumbent Sen. Mary Landrieu. Despite being vastly outspent by pro-abortion organizations such as Planned Parenthood and EMILY's List, pro-life candidates won by significant margins. There were 26 races in which a candidate supported by National Right to Life was running against a candidate supported by the pro-abortion PAC EMILY's List. Nineteen (73%) of the National Right to Life-supported candidates won. "The abortion issue has played a key role in every major election since Ronald Reagan won the presidency in 1980," said Carol Tobias, National Right to Life president. "As we witnessed (Nov. 4), in election after election, National Right to Life and its network of 50 state affiliates and more than 3,000 local chapters help provide the margin of victory for pro-life candidates." The poll also found that voters heard and saw the right-to-life message in the days leading up to the election. Fully 28% of voters recalled receiving, hearing, or seeing information or advertising from National Right to Life. Seventeen percent recalled receiving information or hearing advertising from the National Right to Life affiliate in their state. National Right to Life contacted more than 3.3 million identified, pro-life, registered voter households in key races with brochures detailing the positions of the candidates on issues of importance to the right-to-life movement. An additional 1.3 million pieces of literature were hand-distributed by National Right to Life's network of grassroots volunteers among its 3,000 local chapters. In addition, over 1.5 million pro-life households were called in the days leading up to the election with a reminder to vote for the pro-life candidate in their area. National Right to Life's political committees also aired more than 33,000 radio ads on over 1,200 stations in key states and congressional districts. The poll of 806 actual voters was conducted by The Polling Company/Woman Trend, Nov. 4, 2014, and has a margin of error of +/-3.5%.